SAMPLE PHOTOS ONLY* ESTIMATION COMPLETION: SEPTEMBER 2018!! 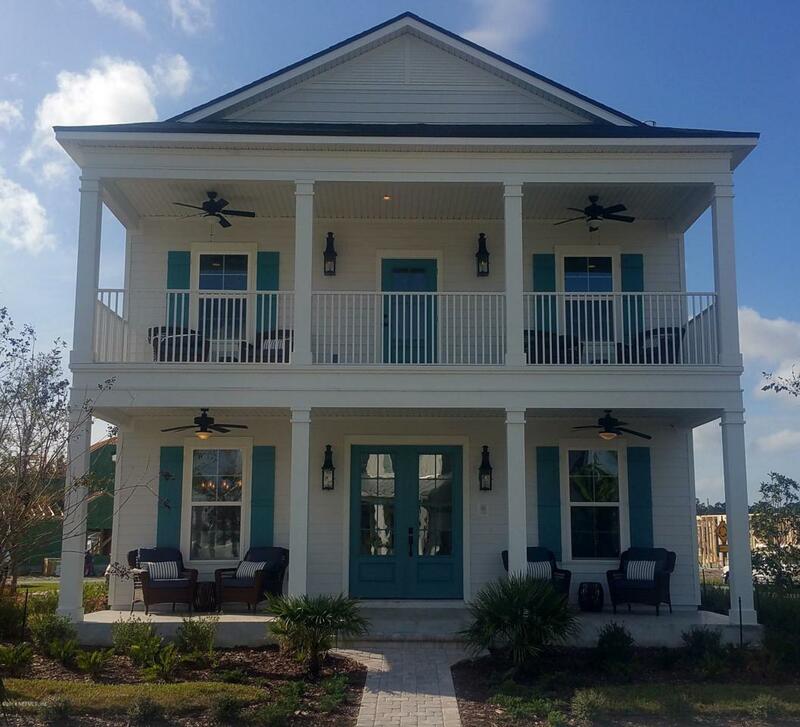 Dream Finders Homes, The Official Home Builder of the Jacksonville Jaguars, originally built this first-of-its-kind brand new home inside the EverBank Field Sports Complex. The Stadium Home is a two story plan with 2,406 sq. ft.,with many elegant features. The home has a large open floor plan with four-bedrooms (Home Theater/4th bedroom) and two and a half bathrooms. With the Master Suite downstairs and all secondary bedrooms and a spacious loft upstairs, the family will have plenty of communal space, as well as privacy. This customized home will include a gas fireplace as well as all gas appliances (washer & dryer included! )The home will include upgraded crown molding on cabinets, added recess lights and pendant pre-wires! Elegant oak wood staircase with wood spindles, 10' Ceilings to include Decorative white painted wood beams in Family Room ceiling, Tray Ceiling in Master Suite Wet Bar pre-plumb upstiars, Ship Lap on kitchen island and fireplace wall, Brass Floor Plug for homeowners convenience, Quartz Countertops in Kitchen, Wood-Look Tile Floors in all living areas and many other excellent features! Home has 1 year limited warranty and 10 year structural! Seller pays all allowable closing cost and prepaids with preferred lender! Don't miss out, call this Home today!